Unless you’re an IT professional or coding hobbyist, you might get intimidated when you think about computer coding. That’s why no code and low code platforms are revolutionizing app development, especially for businesses. What is No Code / Low Code? No code and low code are application development methods that require little to no software coding knowledge. While similar, no code and low code have some key differences. No code development is great for business users. It provides intuitive solutions that can be developed in a timely manner. Low code has a bit more flexibility, but it’s also more complex and time consuming. However, both methods are considerably more efficient and agile than traditional programming. These tools are sometimes referred to a as rapid application development (RAD) platforms. 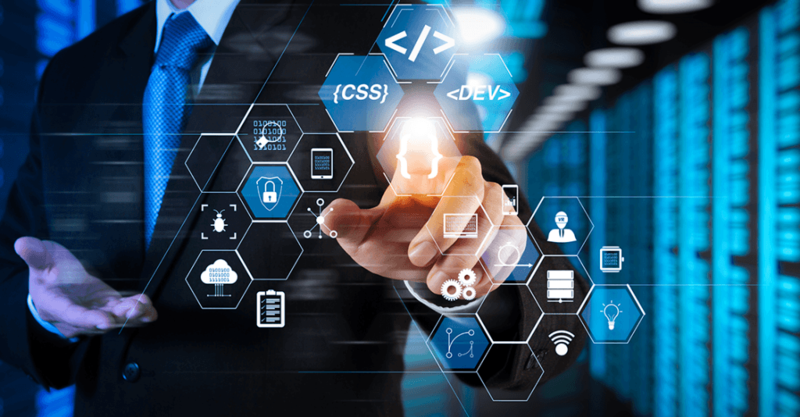 Whatever the term used to describe the new technology, there’s no question that companies in every niche have benefited from the no code/ low code revolution. Technological trend setter, James Martin, published a groundbreaking book in 1982 called Application Development Without Programmers. Martin predicted the future of what would one day become known as low code. During the 80s and 90s, IT professionals were interested in reducing the demand for hand written computer code. They started to develop new techniques with simpler code. These techniques were for fourth generation programming languages (4GL) and early rapid application development (RAD) business automation tools. In the 2000s, no code and low code techniques improved dramatically, and have only continued to get better. Forrester Research predicts sales revenue for no code and low code solutions will increase from $3.8 billion in 2017 to more than $21 billion by 2022! Today, leading a business has unique challenges. Customer expectations are always increasing, and markets are transforming faster than ever. These factors motivate digital change leaders to pick up the pace and move away from custom computer code. This is the reason why no code and low code have become essential strategies for streamlining business processes through the use of mobile apps and cloud-based apps. What Are the Benefits of No Code / Low Code for Businesses? While no code and low code application development is possible if you’re willing to learn, Trinity can take that burden off your shoulders. The business process improvement experts at Trinity enable their clients to manage the daily operations of their businesses, rather than worry about application development. No code platforms, like Quick Base, allow organizations to streamline business processes, thus improving efficiency. That’s why Trinity has chosen Quick Base to leverage as their platform of choice when building business process improvement solutions. Trinity has helped numerous businesses use customized applications to solve their business process challenges. By doing so, Trinity saves their clients time, money, and the effort required to improve efficiency. Trinity builds amazing cloud solutions focused on business process improvement, tailored to the unique needs of each client. Flexibility and scalability are integral to these solutions, since Trinity understands that good businesses evolve over time. For over 21 years, Trinity has worked with clients to improve their efficiency, increase service levels, and upgrade their quality of output.